This is a nice inspirational message. Never lose hope. I originally posted this in the discussion forum, but I'm not sure all the bloggers saw it. So I'm posting it here. I added a new option to the Control Panel that sends you an e-mail when someone posts a comment to your Blog. This is useful because there's no easy way to see that someone has posted a comment, especially for older entries. To enable the feature, click Control Panel, then click E-mail Settings, and then select the appropriate option check box. We should all just refer to John Kerry as "Flipper", like the dolphin. I just re-read my previous Blog entry, and I can't get over how blatant - and dangerous - his flip-flopping is. Those who can shut their eyes to it go beyond the "hold your nose while you pull the lever" in the voting booth thing. It borders on insanity. Someone who flip-flops on terrorism is just plain dangerous for this country. Thank God we have a true leader like GWB who leads by principle in these dangerous times. And the same principled approach to terrorism is responsible for leading this country out of the recession that started in the year before he became president. Instead of the same old scare-tactic approaches of the opposition, GWB continues to lead the country forward with an economy that changes as the world progresses. So instead of scaring people about "outsourcing" (which is really a lot of hype propagated by the liberal media), GWB is focusing on giving people more choice with their money, and helping small businesses to prosper. Because small businesses - by far - employ the bulk of the population. The latest moronic scare tactic of the Kerry campaign is to say that GWB is eroding the middle class, as well as driving senior citizens out of the middle class. What stupid drivel. If anything, Kerry is the one who has hurt senior citizens the most, as he was trying to raise taxes on social security benefits while he was in the Senate. In fact, Kerry has never met a tax he didn't like. I couldn't find a single tax proposal that he didn't vote for. And all those taxes are middle class killers. I find it amusing when people keep harping about "outsourcing" being a bad thing, because it shows (1) a lack of understand about the changing world economy and technologies, and (2) tends to expose those who have an entitlement attitude. Did you know that the unemployment rate is only 5.4% right now? That's lower than 7 out of 10 years in the 1990s. And that's after the 9/11 attacks and a recession that Bush inherited from Clinton. If a Democrat were in office, the liberal media would be crowing about how awesome the president had done under such difficult conditions. Instead, they are like the pied piper, leading a bunch of hard-core liberals around on a leash, constantly complaining about how rotten EVERYTHING is and how the sky is falling. The media and liberals in general have gotten so bad, that according to them every single thing that George Bush has ever done is terrible. But regular, normal -- middle class -- people are not buying that nonsense anymore. No person (other than maybe serial killers) are ALL bad, so it's getting to the point where reasonable people see right through the attacks. And once the credibility of the attacker is eroded, the message becomes meaningless. Just like Dan Rather! The chief elite media guy is a great example -- a poster boy -- of what people are starting to reject. Bye bye, Danny boy!! Everyone talks about John Kerry's constant flip-flopping on political issues, but I think we now have an example of the ultimate flip-flop on his part. During a 1997 debate on CNN's "Crossfire," Sen. John Kerry, now the Democratic presidential nominee, made the case for launching a pre-emptive attack against Iraq. So reveals Rep. Peter King, New York Republican, who appeared with Mr. Kerry on the program. Mr. King says the U.N. Security Council had just adopted a resolution against Iraq that was watered down at the behest of the French and the Russians. Yet the candidate who now criticizes President Bush for ignoring French and Russian objections to the Iraq war blasted the two countries, claiming that they were compromised by their business dealings with Baghdad. "We know we can't count on the French. We know we can't count on the Russians," said Mr. Kerry. "We know that Iraq is a danger to the United States, and we reserve the right to take pre-emptive action whenever we feel it's in our national interest." While no "Crossfire" transcripts from 1997 are available, Mr. King in recent days produced a tape of the show, sharing it with New York radio host Monica Crowley for broadcast, and this Inside the Beltway column for publication. Stay tuned. Finally! The credit card processing finally got worked out, so I'm happy to announce that Gold and Platinum memberships are now available. WABASHA, Minn. (AP) - With a State Patrol airplane overhead, a motorcyclist hit the throttle and possibly set the innormal record for the fastest speeding ticket in Minnesota history: 205 mph. On Saturday afternoon, State Patrol pilot Al Loney was flying near Wabasha, in southeastern Minnesota on the Wisconsin border, watching two motorcyclists racing along U.S. Highway 61. When one of the riders shot forward, Loney was ready with his stopwatch. He clicked it once when the motorcycle reached a white marker on the road and again a quarter-mile later. The watch read 4.39 seconds, which Loney calculated to be 205 mph. "I was in total disbelief," Loney told the St. Paul Pioneer Press for Tuesday's editions. "I had to double-check my watch because in 27 years I'd never seen anything move that fast." Several law enforcement sources told the newspaper that, although no official records are kept, it was probably the fastest ticket ever written in the state. After about three-quarters of a mile, the biker slowed to about 100 mph and let the other cycle catch up. By then Loney had radioed ahead to another state trooper, who pulled the two over soon afterward. The State Patrol officer arrested the faster rider, 20-year-old Stillwater resident Samuel Armstrong Tilley, for reckless driving, driving without a motorcycle license - and driving 140 miles per hour over the posted speed limit of 65 mph. A search of speeding tickets written by state troopers, who patrol most of the state's highways, between 1990 and February 2004 shows the next fastest ticket was for 150 mph in 1994 in Lake of the Woods County. Tilley did not return calls from the newspaper to his home Monday. A working number for him could not immediately be found by The Associated Press on Tuesday. Only a handful of exotic sports cars can reach 200 mph, but many high-pernormance motorcycles can top 175 mph. With minor modifications, they can hit 200 mph. Tilley was riding a Honda 1000, Loney said. Kathy Swanson of the state Office of Traffic Safety said unless Tilley was wearing the kind of protective gear professional motorcycle racers wear, he was courting death at 200 mph. "I'm not entirely sure what would happen if you crashed at 200 miles per hour," Swanson said. "But it wouldn't be pretty, that's for sure." I am a strong believer in the power of positive thinking. Plus, just saying that makes the start of the day better. All polls are strongly in Bush's favor, because the more people know about John Kerry, the more they dislike him. Up to this point things have been pretty even because on the truly interested have been knowing what everyone is just finding out: A Kerry presidency would be a huge step backwards for the US. There is no way to mount a big win when the only thing you're running for is to oust the current president. There will be a segment of the population who is milead enough to vote that way, but normal people will not run down to the polls just to oust the president who has been our leader through tough times. However, there is a huge segment that will run down to the polls because of their enthusiastic support of the president. During his entire Senate career, John Kerry wrote absolutely NO LEGISLATION of any significance. He let everyone else write legislation. But he casted many horrendous votes on OTHER people's legislation. He also voted to kill all anti terrorism activities of every agency of the U.S Government and to cut the funding of the FBI by 60%, to cut the funding for the CIA by 80%, and cut the funding for the NSA by 80%. John Kerry actually did each of these things. I checked it on "urban legends" to be sure and was horrified that this person believes that he should be allowed to be President of this Nation. If you feel differently on the subject don't pass this on, otherwise, please pass it on to every voter you know. It's that important. I just loved the headline of a news story that I found online, so I posted it. President Bush chided Sen. John Kerry and fellow Democrats on Monday for asserting that Republicans will undermine Social Security, calling the strategy "the most tired, pathetic way to campaign for the presidency." Traveling by bus through the southwest corner of this battleground state, Mr. Bush tried to improve voters' perceptions of his domestic policies by condemning Democrats for going negative - even as he held Kerry's plans up to the harshest possible light. "I'm running against a fellow who has got a massive, complicated blueprint to have our government take over the decision making in health care," the president said. "Not only is his plan going to increase the power of bureaucrats in your life, but he can't pay for it unless he raises your taxes." "What would you expect from a senator from Massachusetts?" Mr. Bush said, as a partisan crowd cheered the reference to Kerry's home state and its liberal leanings. (Start of BS) Kerry's campaign said that Mr. Bush mischaracterized its health care policy and that the president's plans would indeed put Social Security in peril. Kerry, meanwhile, assailed President Bush on Monday for letting the decade-long ban on assault weapons expire. Kerry also unveiled his own $5 billion plan to fight crime and picked up an endorsement from the National Association of Police Organizations, a coalition of more than 2,000 police unions and associations. Presidential spokesman Scott McClellan said that was "another false attack from Senator Kerry." The president believes the best way to curb gun violence is to enforce laws that are on the books, McClellan said, and he added that violent crime was at a 30-year low. Republican leaders in Congress said last week they have no plans to renew the 1994 ban on 19 types of military-style assault weapons, even as some law enforcement officials encouraged them to keep the prohibition alive. Mr. Bush has said he would sign a renewal, but Democrats say he has made no effort to press Congress to approve one. Mr. Bush made three stops during a six-hour bus tour in Michigan, a state he narrowly lost in 2000, before heading to Colorado on Monday night. Polls show Kerry clinging to a slight lead in Michigan, with job losses and health care costs worrying voters. "You'll hear the same rhetoric you hear every campaign, believe me," Mr. Bush said, "'They're going to take away Social Security checks.' It's the most tired, pathetic way to campaign for the presidency." Last night I launched the successor to BigGameLottery.com. I have been hard at work on the new site for 4-5 months now, so it's been a bit of a journey. Several months ago I was looking for a way to expand BigGameLottery.com, and I came up with the idea of hosting the other USA mutli-state game, Powerball. The games are so similar that it made sense, and I've always had a lot of people asking for Powerball innormation. So after deciding to add Powerball, I need a new name that could be used for both games, and still maintain the heritage of the old site's roots. I picked USA Mega because the site is targeted at a much larger audience now, and the Mega refers to the USA's mega (big multi-state) games. Because BigGameLottery.com has been around for more than 4 years, it has developed quite a few links out there. My big challenge now is to get all those links changed to point to usamega.com. It's going to take a while. If you are of the liberal persuasion, please just ignore my conservative rants in my Blog. Or, if you are open-minded, feel free to consider changing your mind! I find my Blog a great way to record my thoughts, and my Blog is the one place I can go totally off-topic (from the lottery). If you want to post a positive comment, please do! If you want to post a negative comment, I'd rather you send me a PM than to put it in my Blog. I love a good debate, but I don't think I want to have a debate in my Blog. I hate to muddy my Blog with negative junk, but I am really steamed by the disgusting tactics being employed by Democrats and the liberal media to slander and libel our sitting president. Ever since Kerry took a nose dive in the polls, liberals have been searching for a way to attack the president. They don't look for a positive message and agenda that will propel their candidacy and debate the issues. Instead they only look to throw mud and manufacture anger. Everyone knows that the mainstream media is a driving force behind the liberal agenda, but now things have completely gone over the edge. Instead of just propping up stories that slant to a certain viewpoint, they are now using forged (completely fake) documents to fabricate a negative story about the president. It goes beyond simply unethical, becoming slanderous. Document and typewriter experts have shown conclusively that a typewriter from the 1970's did not create the documents that Dan Rather showed on 60 Minutes. They were created using Microsoft Word! And they didn't even use computers back then! Worse, Dan Rather (and all the liberal media that jumped on the bandwagon) used the fact that the guy who supposedly wrote the documents is dead - and unable to deny that he created the documents. That is so disgusting. I am sickened. I don't see any documents from an alive guy showing anything remotely like those documents. Because they don't exist, and the documents were created by some vile jerk who realizes that Kerry can't win unless the Dems take cheap shots. Dan Rather and other CBS people interviewed the guy's surviving family members, and they all say that when he was alive he had nothing but glowing things to say about George Bush. They all said that he did not keep notes like that. First, he took very few notes, keeping ideas in his head rather than writing them down. Second, he hand-wrote everything, and never used a typewriter. Lastly, they emphatically said that no military officer would EVER write notes like the ones "uncovered" - it would be career suicide because it is a very underhanded thing to do. Guess what? Dan Rather never mentioned any of those things in his story, despite the fact that they contradicted everything that the Bush-attackers said. The people who knew the dead officer best were silenced in a news story. Why? It's obvious! Because the family's comments did not support the thesis that Dan Rather was normulating. They inconveniently contradicted his agenda, so he didn't even mention that they were interviewed, let alone that they debunked the attackers. The bottom line: Dan Rather is not an objective reporter; he is an active supporter of Kerry, and is doing everything in his power to get President Bush out of office. No matter what your political affiliation, is this what you want hard news reporters to do? It is sad that real, objective news is becoming a thing of the past. And it is sad that Fox News is attacked for showing BOTH sides to a story, instead of acting like the rest of the mainstream media, always taking the liberal point of view and ignoring what all the regular people of this country think. Unless Kerry had a hand in this - or knew about it - I don't think he is necessarily a vile person, but the people he surrounds himself with are of the worst ilk. And if he becomes president, those are the same people who will be advising him and running the key areas of the government. I have faith in the fairness of the American people. I truly believe that the more this crap comes to light, the more people will see through it and turn against the people who perpetuate it. George Bush has always taken the high road. He has stated numerous times that Kerry served honorably, and he even stated that Kerry served more honorably than himself (!) 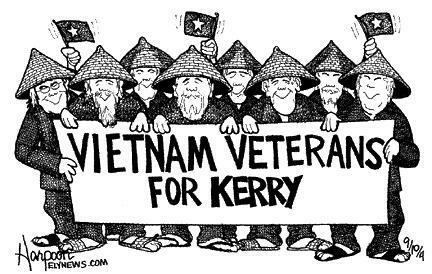 because Kerry served under fire in combat. Where is Kerry saying that serving in the National Guard was honorable service? Where is he denouncing ALL the negative 527 ads (not just the ones that are against himself)? The American people will overwhelmingly vote for George Bush on Election Day. It will be a landslide. In addition to all the Lottery Post enhancements (including the new members), I've been hard at work developing the successor to BigGameLottery.com. I'm probably going to launch the new site sometime later this week. It is completely new, with a new name, completely new look, and a new GAME. The biggest change of all is that it is going from just Mega Millions to Mega Millions AND Powerball. This is an exciting new site, and I'm excited about the new look -- after 4 years of BGL looking the same. To launch the site, I'll probably have a big contest (or sweepstakes). Stay Tuned! I got some really great tickets for the afternoon game on Labor Day vs. Tampa Bay. three rows behind the Yankee dugout (first base side)! I'll definitely be wearing my Lottery Post hat, so viewers may be able to catch their intrepid webmaster on TV. Wrapping up the RNC Thursday night, I thought the president's speech was a good ending. Now that the convention is over, it is easier to compare against the Democrat's. What made Bush's speech so much better than Kerry's (other than the fact that Bush is a much better candidate) is that he clearly laid out an agenda with a purpose. Contrast that with Kerry's speech, which was basically "I'm against everything Bush is for", and didn't say what he would do. Ultimately, I think that's going to be Kerry's downfall. He doesn't give people a compelling reason to vote for him, and contrary to what the media would have you believe, most people don't hate George Bush. It's not that people don't disagree with him on certain policies, it's that only a very small segment of the population actually hate him. The fringe. Most people who take the time to go out and vote do it in order to vote for something, not against something. Last night, Bush outlined many reasons to vote for him. Unlike Kerry, I predict he's going to get a good post-convention bump in the polls. Maybe as much as 8 or 10 points. I'm sure the media will make up some excuse why he got a bump and Kerry didn't (probably calling him mean or negative, or something stupid like that), but if Bush stays on the offensive, and keeps the message out front, he should carry that margin to victory. Wow, just a tremendous speech by Zell Miller tonight! He made a compelling argument for the President, especially since he's a Senate Democrat. He showed both courage and conviction, and his crossing party lines to endorse the president carries tremendous weight. As usual, Cheney gave a solid pernormance, and showed why he makes a good VP. The Republicans have really laid out a good strategy against their rivals. They are not making personal attacks against Kerry; rather they are taking a factual look at his voting record in the Senate, and proving that he has consistently voted the wrong way. He voted against every major weapons system that won the cold war (and that we still use in the war on terror today), and he votes against tax cuts. At last night's RNC, another speech to be remembered, this time by Arnold. Who would have thought? It was actually heartwarming to hear him talk about his immigrant background, and how the Republican party supports all the things that immigrants desire in order to be successful in America. I'll bet writers at the New York Times are having a real tough time trying to write about these speeches over the past couple of nights, as there is very little negative that they can find. They certainly would never write good things about a Republican speaker, so how are they filling their stories? I guess they'll try to pick on the Bush daughters, who proved last night that they really shouldn't ever consider getting into politics. Ditsy and strange. However, Laura Bush clearly showed why there's no comparison as to who should be the nation's First Lady. It was not an exciting speech, but it was classy, and centered on the President, rather than herself. Nicely done.